FEVER – Custom parts Arranged for Female Vocal Solo and 5443 Big Band. 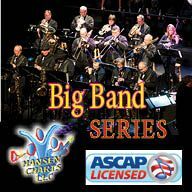 This is a custom arrangement based on the most popular earlier big band arrangements performed in the mid 1960s. Give a listen to the midi audio track for a idea of the horn parts and such. There is no guitar part written out, but use the piano or bass part. Alternate lyrics are included that were originally used by Peggy Lee. The video link is to the Bruna Oberan version. This arrangement uses some of those elements, but others as well.